Day 2, it rained. 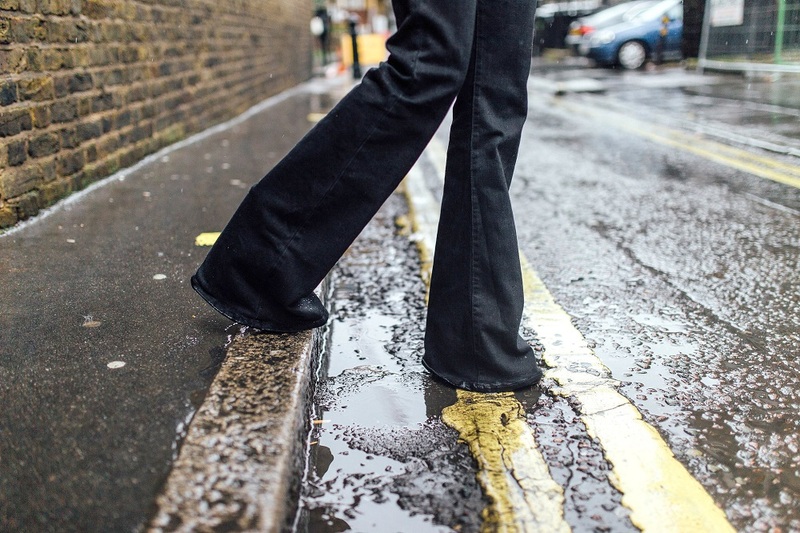 I don't know why I thought it wouldn't rain over fashion week as it always seems to in London but as soon as the skies turned grey it made the day a whole lot harder! These photos were taken in the afternoon and as you can tell, I was already looking pretty dishevelled. I was prepared and checked the weather forecast beforehand so I knew I'd need to wrap up warm, choose appropriate footwear and just be a little more prepared for the rubbish weather. 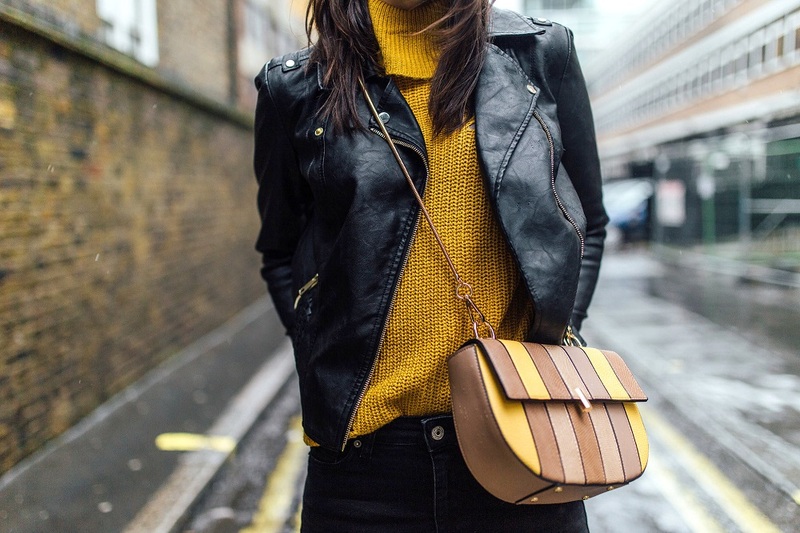 Mustard has been quite the it colour recently so I decided to wear a bright mustard jumper which matched my Dune bag perfectly, you'd be surprised at just how much fits inside and the colours are to die for (it also comes in other colour combinations too!) 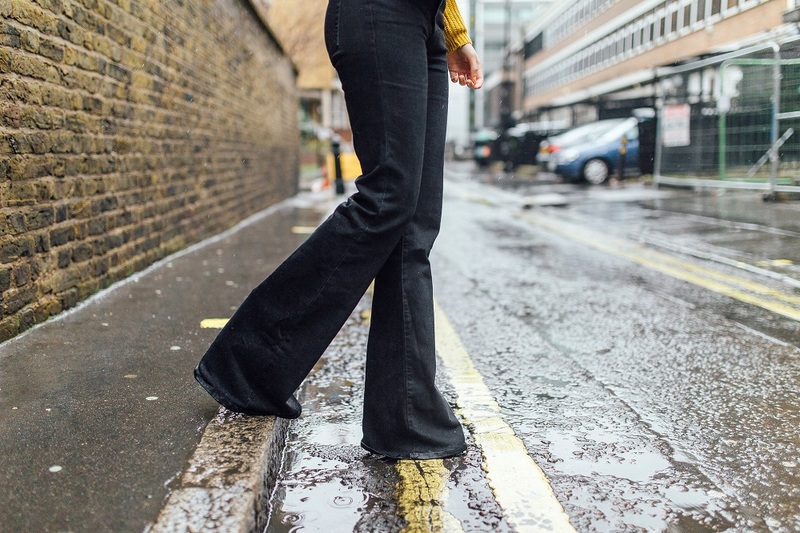 I wanted to wear flares because it's a style I personally really love but don't wear too often as I feel most people I'm with don't really get them, these are from Mango and are incredible - I achieve the whole Victoria Beckham vibe with no shoes in sight. 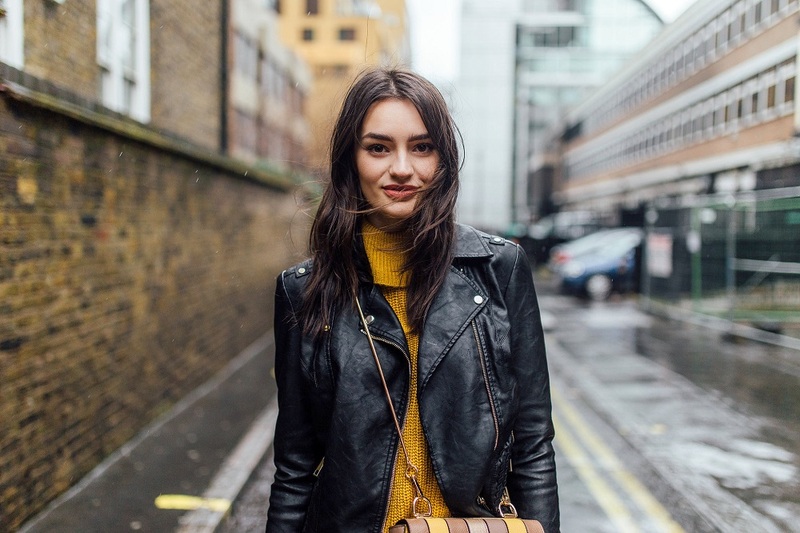 Finally, I draped a leather jacket over my shoulders which is pretty much a statement in my wardrobe. Omg that first photo! So beautiful! this outfit is gorgeous! i love the mustard yellow! 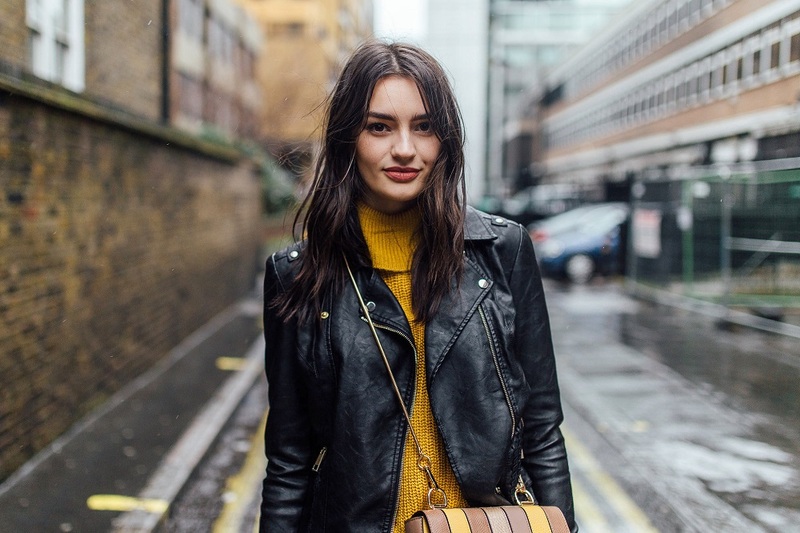 You look amazing, mustard is definitely your colour! This shoot looks absolutely perfect too, would never be able to tell how horrendous the weather was on Day 2. I had a right mare trying to get around aha. Aww what a PERFECT pictures! 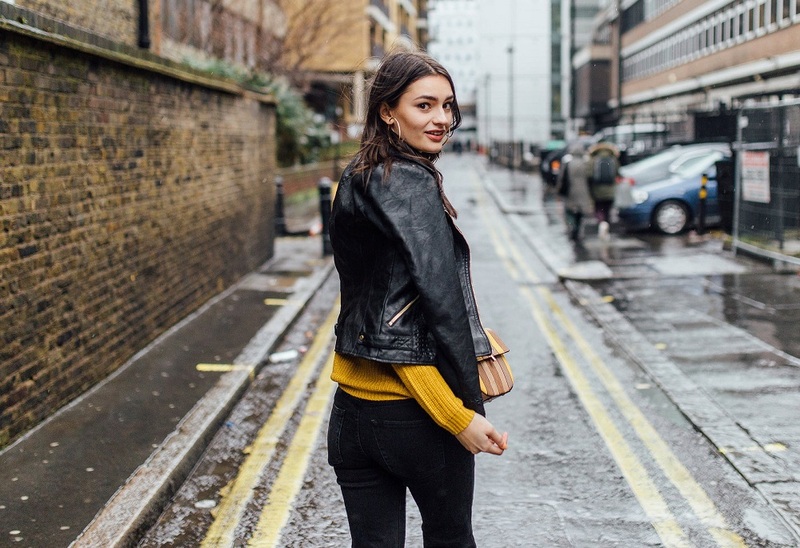 The contrast between your mustard top and the yellowish/greyish tones of the city is unbelievably stunning!